Three new iPhones, iPad Pro, Apple Watch Series 4...It's going to have a busy fourth quarter! For the last several years, Apple has held an event on the second Tuesday or Wednesday of September to announce the new iPhone. 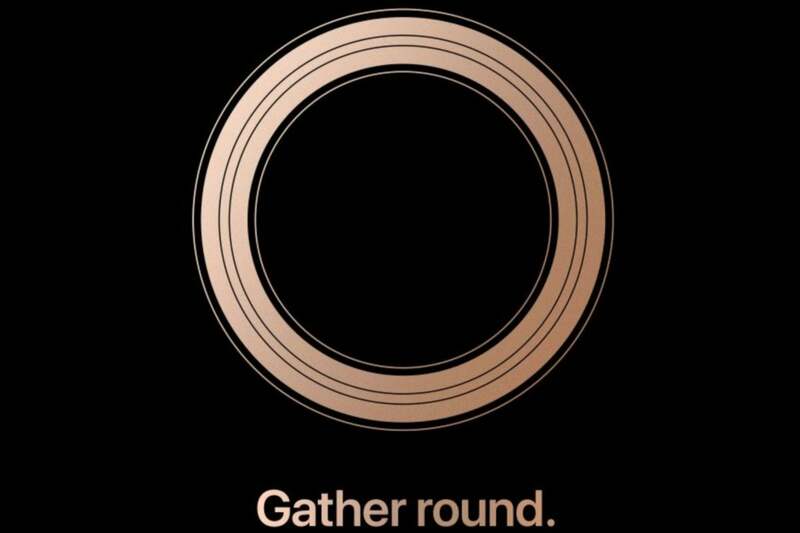 This year is no exception; invitations have now been sent to the media for an event at the Steve Jobs Theater on September 12 at 10 a.m. Pacific time. What will Apple announce? With a company as secretive as Apple, nobody ever really knows for sure. But the rumor mill has been buzzing for months, and we have a pretty good idea of what to expect. Here’s a brief summary of what you can probably look forward to in on that Wednesday. 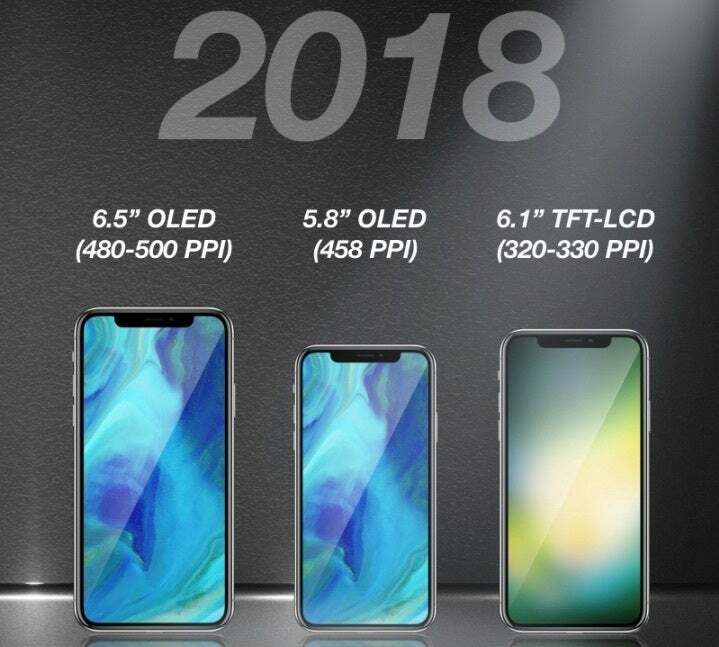 Top of the list will be a trio of iPhones. We can expect a 5.8-inch iPhone nearly identical in design and size to the current iPhone X, along with a larger 6.5-inch “Plus” model (some rumors say it’ll be called “Max”). If the rumors are right, the 5.8-inch model will cost between $800 and $900, coming down from the $1,000 iPhone X starting price. The 6.5-inch Plus model will fill in the $900 to $1,000 range (it will probably be $100 to 150 more than the 5.8-inch one). This artist’s rendition matches what we expect the new iPhones to look like, more or less. Joining that pair, we expect a new 6.1-inch iPhone with a design similar to the iPhone X (thin bezels all around and a notch for the TrueDepth/FaceID sensor). It will probably have only a single camera lens, come in a variety of colors, and should cost between $600 and $700. All of the iPhones are expected to feature wireless charging and come with a new USB-C based 18-watt power adapter in the box, and there might be 512GB storage options on the OLED models. The phones will likely feature a new A12 processor. There hasn’t been much info about it, but looking at historical trends and the advancements afforded by the move to a 7nm manufacturing process, we expect a roughly 15 to 20 percent improvement in CPU performance and a 20 to 30 percent improvement in graphics performance. Apple is likely to highlight an exceptional increase in machine learning performance in the A12. The A11 was the company’s first chip with dedicated machine learning hardware (Apple calls it a “Neural Engine”), which was capable of 600 billion operations per second. It’s not a stretch to imagine Apple touting “over a trillion operations per second!” this year. The new iPhones will also feature improved cameras, at least in the high-end OLED models. Since when has a new iPhone not featured a significantly improved camera? We maintain a chronological list of the hottest iPhone rumors, if you want to catch up. We got a new version of the regular iPad this spring, but there was no mention of the iPad Pro at that event nor at WWDC in June. We’ve heard rumors of a new redesigned iPad Pro all year, and it’s likely to make its debut at the September event. The two new Pros may come in at 11 inches and 12.9 inches, and will take some design cues from the iPhone X. That means smaller bezels (though not quite as small as on the iPhone X) and the removal of the Touch ID sensor in favor of Face ID. What’s that connector thing on the back of the new iPad? We expect the display to still be LCD, as OLED displays of that size are simply too expensive. There are also some mumblings that the headphone jack is gone (which seems likely) and there’s some sort of new smart connector thing on the back down by the Lightning connector. One mystery we can’t yet determine is what processor the new iPad Pros will use. If there were announced back at WWDC, we would expect a new A11X processor with the same architecture as the A11 Bionic, only more CPU and GPU cores and higher clock speeds. However, the last time Apple introduced iPads at a September event along with new iPhones was on September 9, 2015 with the original 12.9-inch iPad Pro. At that time, the company introduced the new A9 processor for the iPhone 6S, and the A9X for the iPad Pro. The design was similar, but the A9X ran at a higher clock speed, had double the memory bandwidth, and double the graphics cores. We might see something similar this year with an A12 and A12X. We maintain a list of the latest iPad rumors here. Since its introduction in 2014, Apple has always introduced the new Apple Watch at its September event. In 2015 there was no new Watch announced (though it was announced in 2014, it only began shipping in May 2015), rather, Apple previewed watchOS 2. It’s time for the fourth generation Apple Watch, which we expect Apple to simply call “Series 4.” We expect it to still come in two sizes, roughly the same as the current Apple Watches (so that bands are compatible between generations). It will likely have a new S4 system-on-chip with improved performance and battery life, too. An artist’s rendition of how the larger display on the Series 4 might look, compared to Series 0-3. Persistent rumors have pointed to a larger display on the Series 4, made possible by shrinking the bezel (and possibly rounding off the display corners). 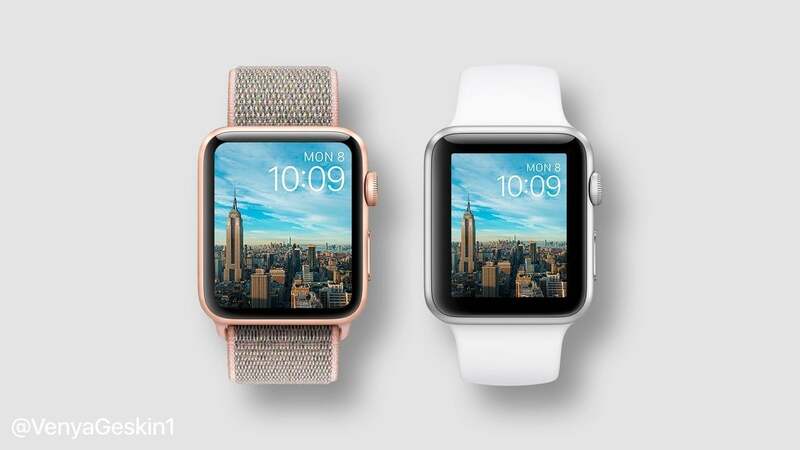 That will have a big impact on usability, and it represents the first really significant change in appearance since the Apple Watch was first introduced. A sketchier rumor claims that the side button and digital crown will switch to a solid state design, like the Home button on the iPhone 7 and later, using the Taptic Engine to generate the “feel” of a click. The Series 4 is also expected to have improved health and fitness tracking thanks to what have only been called “improved health sensors.” That likely means a more accurate (and hopefully more battery-efficient) heart rate sensor, but it could also mean better motion tracking, and Apple has been rumored to be in pursuit of noninvasive blood glucose monitoring technology, too. We expect the Series 4 to come in both LTE and Wi-Fi models. AirPower was announced at last year’s September event, and Apple has been in radio silence about it ever since. 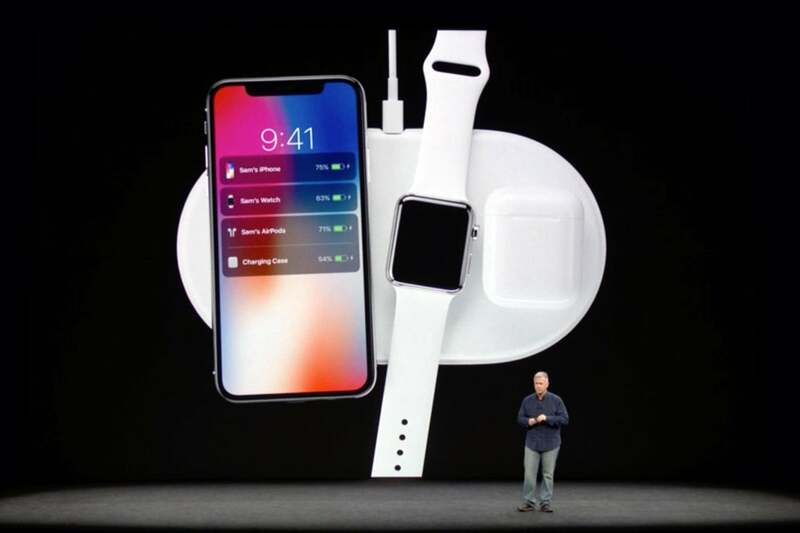 Apparently, making a single wireless charging pad that can charge your iPhone, Apple Watch, and AirPods without needing precise placement of each is harder than it looks. It’s been a year since AirPower was announced. We think it’s finally about ready to ship. AirPower may or may not make the stage on September 12, but it’s our estimation that the wireless charging mat will finally ship around the same time as the new iPhones, and we’ll at least get to know the price on or shortly after the event date. When AirPower was announced, Apple said it intends to sell a replacement charging case for AirPods that allows them to be wirelessly charged. So we’ll finally learn the price of that, too. But we might get a bigger treat: second-generation AirPods. The so-called AirPods 2 are rumored to enable hands-free “Hey Siri” support and enough water resistance to withstand heavy sweat or the occasional run in the rain, but there hasn’t been a lot of other leaks about them. We’re hoping for longer battery life, better sound quality, and maybe even some mild active noise cancellation. Some rumors put the release of second-generation this fall, but more recent rumors suggest they will release in the fall of 2019. We think the odds of AirPods 2 being announced are pretty low. Apple definitely has a lot of irons in the fire, from the Mac Pro to rumored Augmented Reality hardware and noise-cancelling headphones. Here are some of the oft-whispered-about products we do not expect to make an appearance at the September event. Apple had a rough launch of the new MacBook Pro this summer, but its thermal problems are all sorted out now. New rumors say that Apple is finally due to give us a big update to two of its most beloved Macs later this year: the MacBook Air and Mac Mini. The new thin-and-light MacBook will have smaller bezels and a retina display (in addition to more modern processors), and the Mac Mini will have modern hardware targeting enthusiast power users who want small “headless” computers as media servers and the like. It’s exciting stuff, and we’ve heard rumors for months about these products coming before the end of the year, but the September event is already jam-packed. Apple sometimes holds event in October, and we think it’s likely that the company will do that this year to introduce those products. As for the new Mac Pro: Apple said it’s not shipping in 2018, so look for it next year. Apple’s new smart speaker isn’t ready for a real upgrade yet, and the rumors about a smaller and lower-cost model seem soft at best. It simply doesn’t make sense for Apple to introduce a cheaper model with lower sound quality right now: Until Siri catches up to Alexa and Google Assistant, there’s little reason for an Apple smart speaker that doesn’t have superior sound quality. iOS 12 is said to add a couple of nice new features to HomePod, including the ability to make calendar events, set multiple timers, and initiate phone calls. Apple might spend a minute or two hyping up the way that HomePod is always improving in this manner, but we don’t expect new HomePod hardware just yet. Apple is apparently working on stand-alone AR glasses, or a headset, or some sort of augmented-reality hardware that extends beyond the iPhone and iPad. We can’t wait to see what it’s cooking up, but even the most optimistic rumors say it’s still way more than a year away. We’re looking at a 2020 launch, or maybe a late 2019 introduction with a 2020 on-sale date (similar to the Apple Watch introduction) if you’re a big optimist. Apple is also said to be working on a set of high-end (read: expensive) over-the-ear wireless headphones. It seems like something the company might do, as we don’t think it will necessarily cannibalize its own Beats brand, but it doesn’t feel like they’re quite ready yet. It would be a great thing to launch at an event next March, together with other media offerings like a streaming TV show service full of exclusive content and maybe even new Apple TV hardware (with a new remote? Pretty please, Apple? ).